American Elements produces the full range of anode, cathode and electrolyte materials essential to the production of solid oxide fuel cells. We developed unique processes to reduce the cost of producing nickel cermet anode material and were one of the first companies to commercially produce lanthanum strontium manganite cathode powders by solid state processes. American Elements was one of the first participants in the Department of Energy’s Solid State Energy Conversion Alliance (SECA) joining the program in 2000 and first proposed the addition of a materials program to the alliance at an important joint US-EU fuel cell conference in 2001. 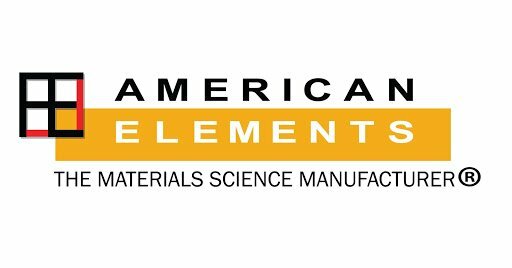 American Elements is the world's largest producer of Additive Manufacturing and 3D Printing materials for the Fuel Cell Industry. Solid oxide fuel cells (SOFCs) offer the world a potential game changing means to produce energy from hydrocarbons; far cleaner and more efficient than combustion engines. However, many technical and cost issues have prevented their commercialization, chief of which is the cost of the electrode and electrolyte materials. The most expensive of these is the perovskite-structured cathode material lanthanum strontium manganite (LSM) produced through the very expensive and time-consuming process of co-precipitation. As part of the Solid Energy Conversion Alliance (SECA) formed by the U.S. Department of Energy, American Elements proposed at a joint meeting of the European Union and SECA participants in Brussels in 2001 that LSM could and should be produced through the much less costly means of solid state sintering of the powder and demonstrated a scheme for commercializing the approach. Samples from this technology were distributed for testing to SECA participants including Honeywell, Cummins Engines and General Electric. Testing by program participants confirmed the efficacy of the new production method. American Elements scaled the process from pilot to commercial scale at its Bluffdale, Utah plant. Cost estimates for production of solid oxide fuel cells have been reduced and today we provide low cost LSM and several other cathode materials to programs in the U.S., Europe and Japan.